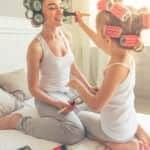 I really enjoy cooking, but like most moms who find dinner as their Hail Mary of the day, the last thing I feel like doing after eating is cleaning up. That’s why I’m embracing meals that have maximum flavor but minimal cleanup for my dinners, especially this summer. 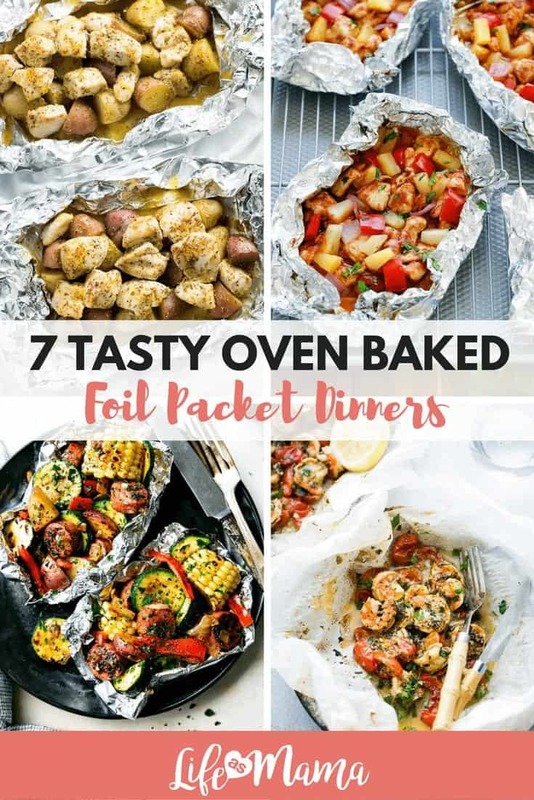 Foil packet dinners fit the bill because they are usually a complete meal all wrapped up in a nice piece of foil and left to cook independently in the oven. 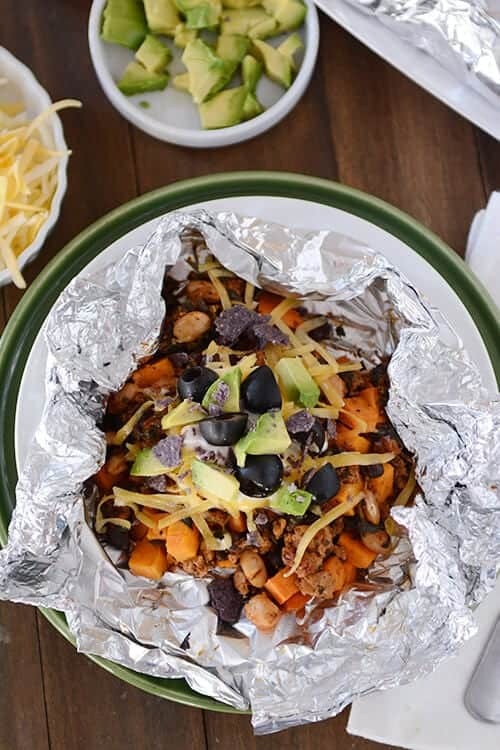 When they’re ready, simply open, eat and toss the mess with the remaining foil. I love all things caprese and this chicken dish wrapped in a foil packet is going on my menu this week! All the fixings of a caprese salad (tomatoes, hunks of mozzarrella cheese and balsalmic vinegar) are rolled up inside a thing chicken breast and surrounded with veggies. 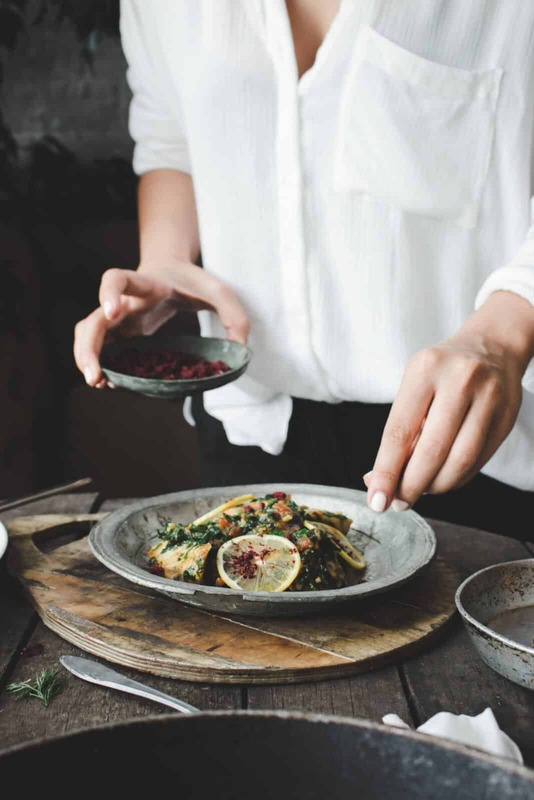 You can find this dish and other wholesome recipes over at TheWholeSomeDish.com. A little homemade honey mustard sauce, potatoes and chicken are all it takes to get this delicious dinner in front of you. 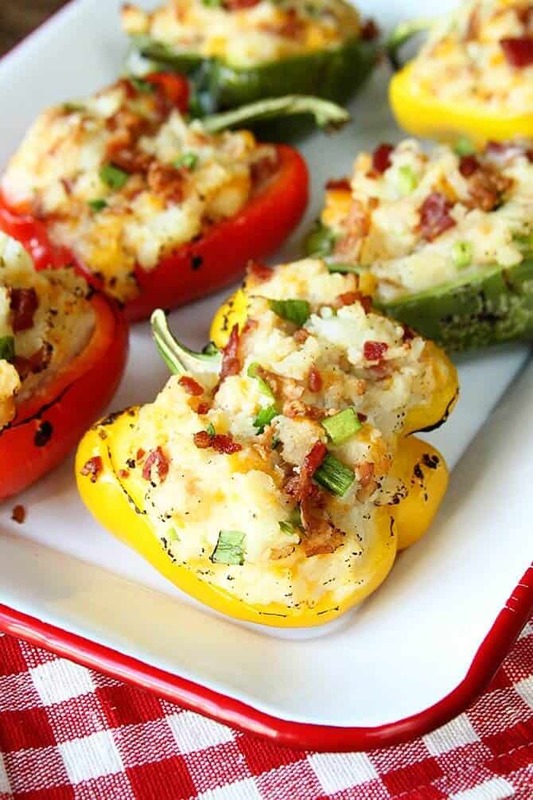 Perfect for both the grill or oven, you’ve got a sweet and tangy meal that will please everyone. Grab the full recipe and many more from TheSaltyMarshallow.com. 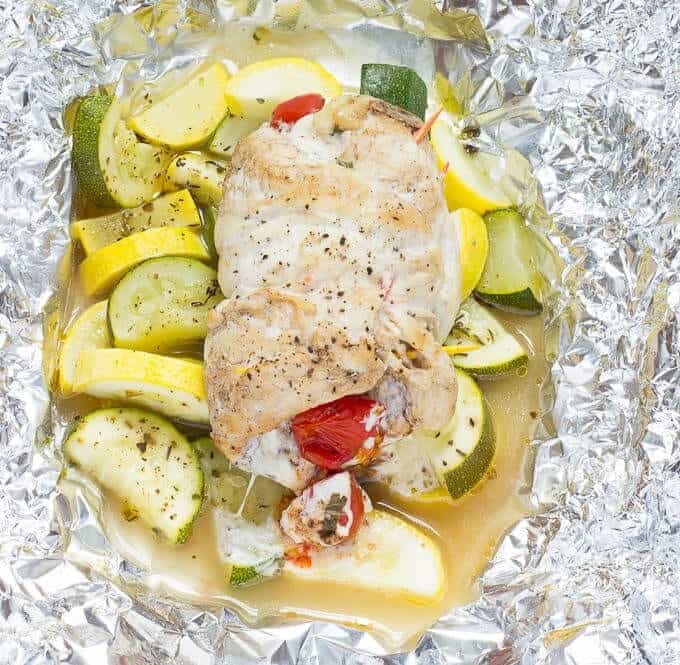 This foil packet dinner is like a treasure trove of veggies. Flavorful turkey sausage is covered in a homemade seasonings blend and then veggies ranging from corn to carrots are added. 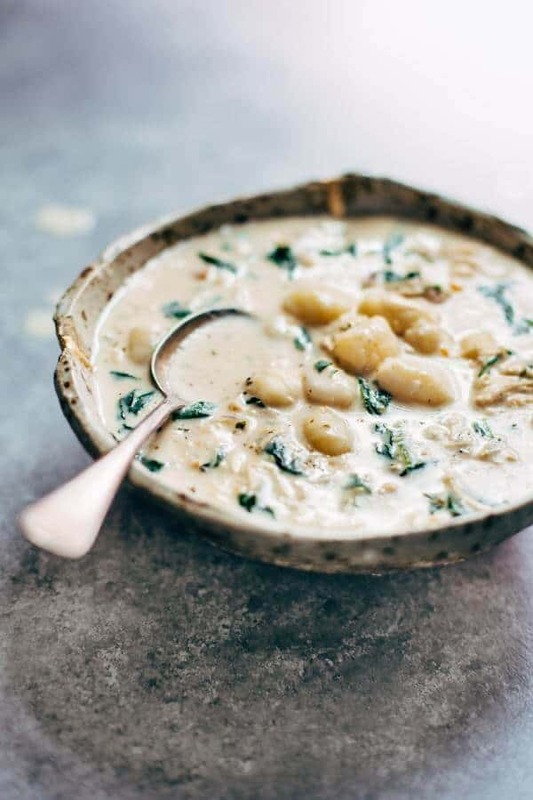 There’s bound to be a veggie that everyone loves in this delicious meal. 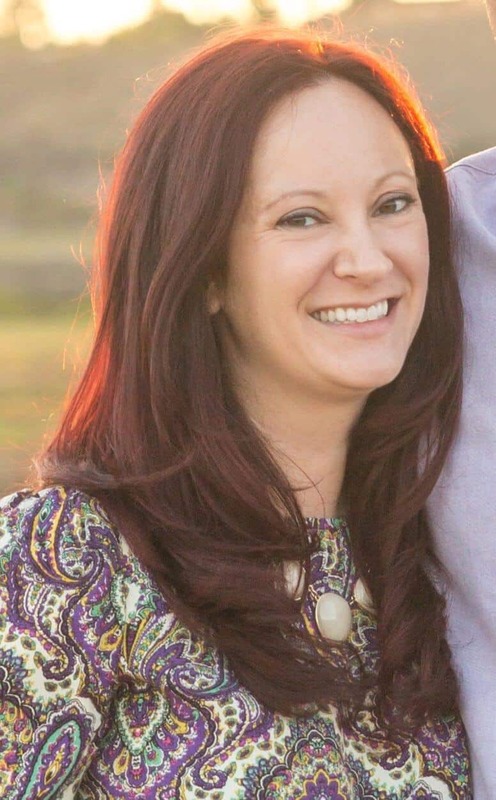 ChelseasMessyApron.com is one of our favorite foodie sites. 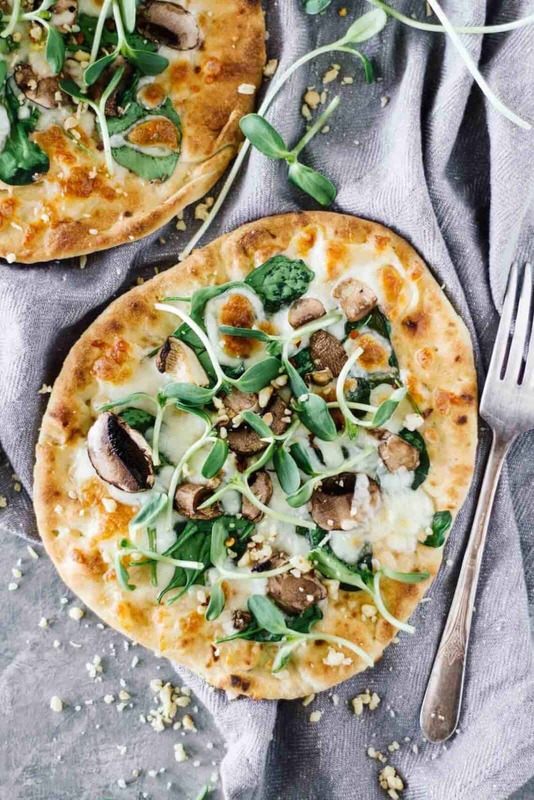 Head over for this recipe! You had met at BUTTER! 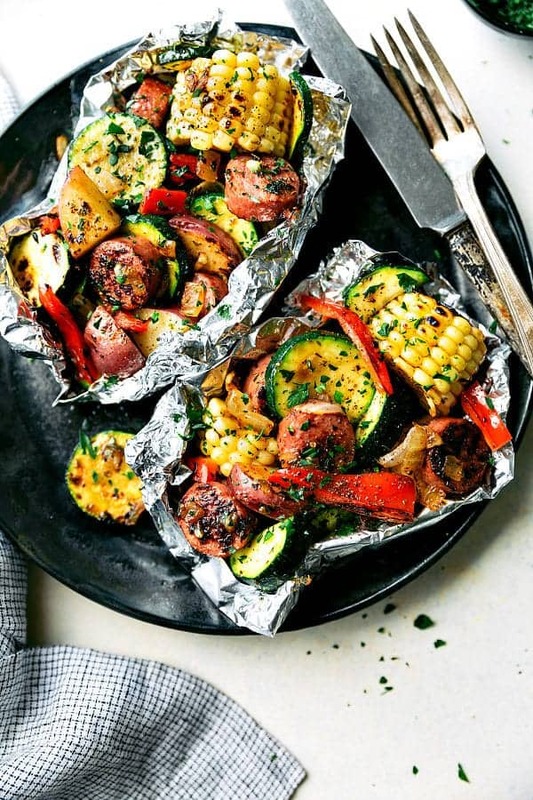 For those of you who just plain love fish, or are non-meat eaters, this foil packet dinner is going to rock your world. I always get scared cooking fish because I’m never sure if it’s done but I don’t want to burn the fish either. The tin foil helps insulate and cook to perfection without burning. Simple ingredients and a 2lb filet of salmon are all you need to create this beauty. This recipe was found over on DamnDelicious.net. Head over to check out more recipes made with simple ingredients, but are made to look super fancy. 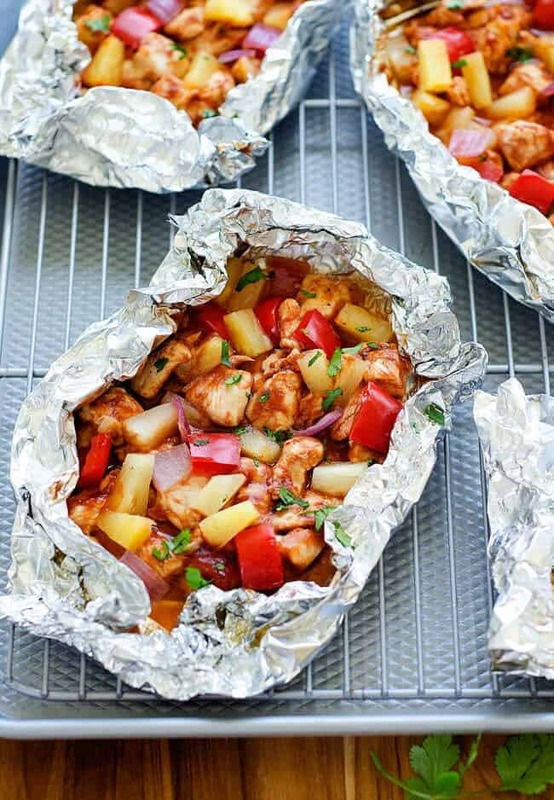 Disclaimer: this meal is actually cooked inside parchment packets but foil still works! 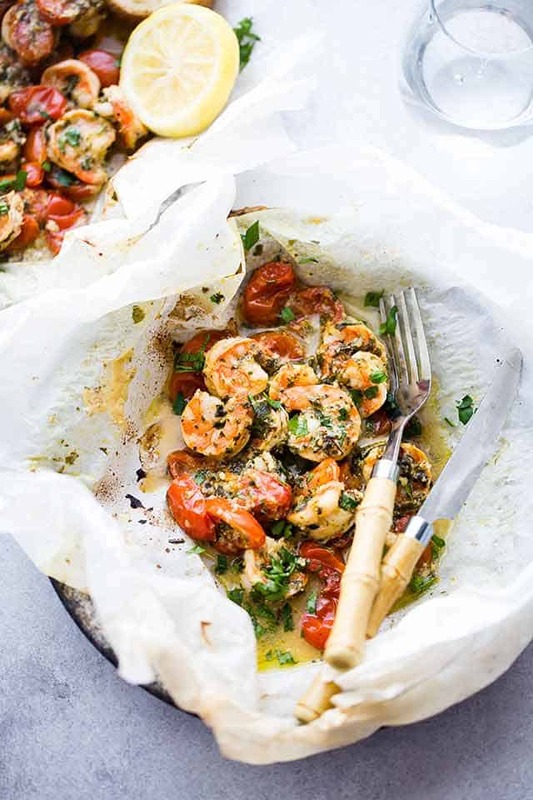 It’s the perfect dinner for a hot summer night, and only takes shrimp, lemon, garlic, basil, parsley and olive oil to create the steamy sauce. Shrimp cooks in a flash and I’m sure these packets will be eaten up just as fast. 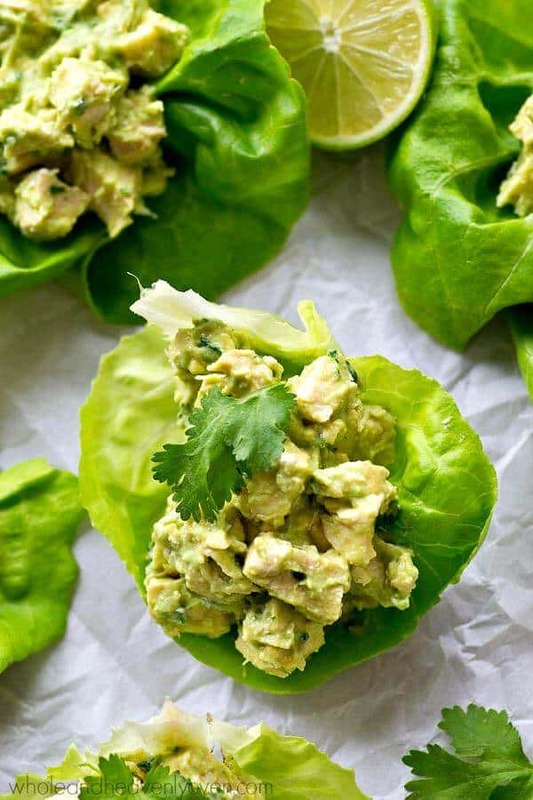 Diethood.com has this recipe and many other diet-friendly meal ideas! Bright veggies and flavorful chicken combine in this mess-free BBQ meal. The only things getting dirty will be your utensils! 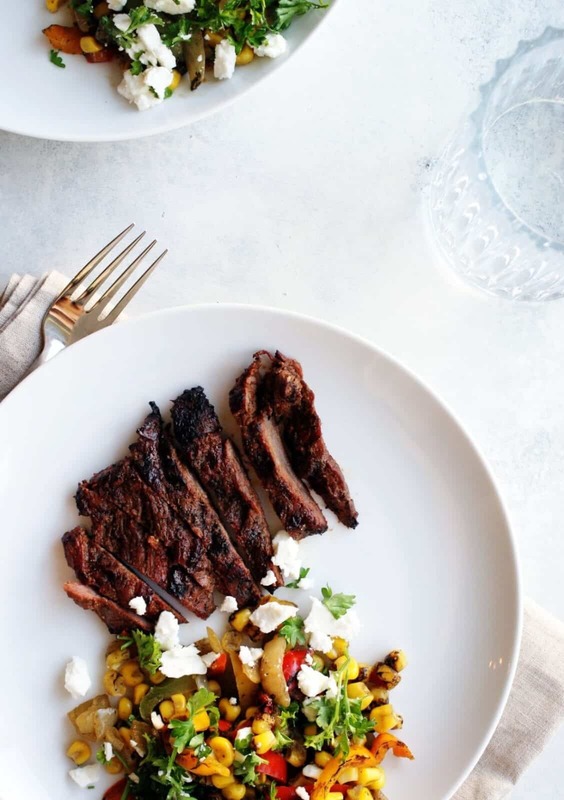 Love this easy BBQ clean up. Get over to Life-In-The-Lofthouse.com for the complete recipe! This hearty healthy dinner is brought to you courtesy of ground turkey and sweet potatoes. 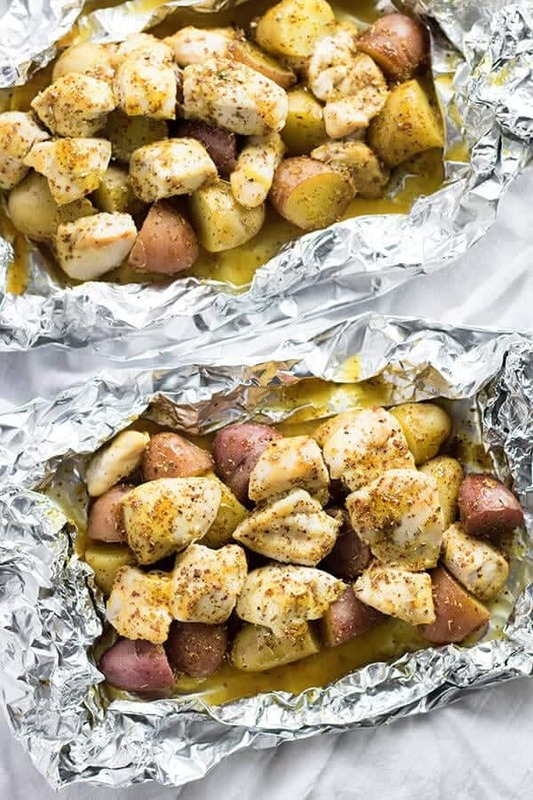 While this particular recipe requires some pre-cooking before sealing into foil packets, the result is a filling and nutritious dinner packed full of flavor. Check out the full recipe at MelsKitchenCafe.com.